We all know that as we age our skin needs a little more help than it used to and I for one will take all the help and tips I can get. I owe huge thanks to Tracey over at Face Up Beauty for introducing me to this little 'beauty'. Actually Tracey also talked about two other products as well which I picked up without any hesitation but I'll talk about them in other posts. 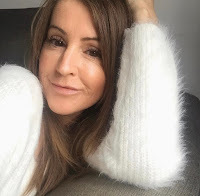 By the way you really do need to check out Face Up Beauty as it's such an informative blog with honest reviews on skincare and a whole range of beauty gadgets and not to mention a bit of fitness thrown in for good measure. I was on a mission to find a powder that was kind to my ever present wrinkles!! This one is in the higher price bracket at £42 so I wanted to do the 'try before you buy'. I went into Space NK and got the assistant to pop some on for me and then I took the husband shopping around Nottingham to give it a bit of a road test. Over the years I've tried lots of different powders to stop the oil slick and to stop the make up sliding off my face. I used to have real oily patches, you know, that dreaded T-zone but I have to say my skin has changed a lot in the last year and my oily patches seem to have more or less disappeared. No magic cure here guys, think it's down to ageing and my skin drying out a bit, can't bloody win can we? As you can see I did go back to purchase one and have been using it for a couple of months now so I could trial it properly. I am in love with this multi-tasking finishing powder and rather than drying it out, it's actually good for your skin as it contains hyaluronic acid, you can even sleep in it! It contains ultra filling and plumping acid spheres and super absorbent silica micro beads that help to resurface fine lines and wrinkles instead of sitting in them and making them more obvious and it helps disguise those pesky open pores. It gives my skin such an amazing matte yet luminous finish, if that makes sense? It's super light and makes my skin feel so soft. The best thing is that I do not have to retouch at all during the day and it doesn't sit in my lines or go cakey. When you dust it over your face, it does make you look a little pale as it's a white powder but your colour does come through once it warms into the skin. If you're thinking this is quite expensive for a powder, rest assured it will last you a long time as a little goes a long way. Tip: rather than take off the clear protective sticker, take a pin and pierce just a few of the holes, actually I probably pierced half of them, that way you won't get a big 'puff' of powder when you tap it into the lid (I apply with a tiny kabuki brush so thats what I do). Another thing I do, (I read it somewhere) is apply a tiny amount to my T-zone after primer but before my foundation, it just helps to set everything, then give a final light dusting after applying foundation. There's nothing to say you have to do that, personally for me that works better at keeping everything in place, but just do what works for you. I can say 100% that I WILL repurchase this when I run out just before I run out! It's got fabulous reviews so if you fancy a read or want to order on line you can do that here. 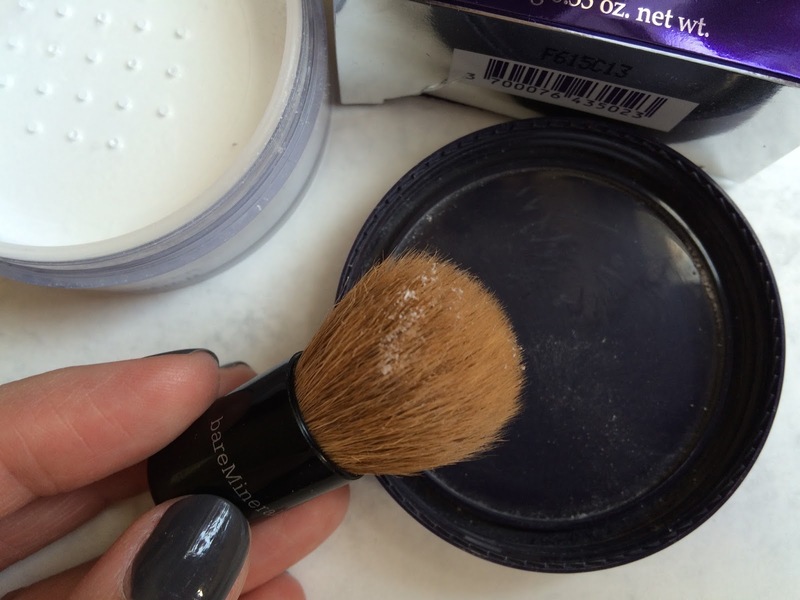 Do you use a finishing/setting powder? What is your favourite? Aww thanks for that, and you are more that welcome as you truly do have a great blog! This sounds really interesting, I've always wanted to try those HD powders. This one's a little (a lot!) on the pricey side for me though! I hear the NYX one is really good.